HUGH PRICE REDUCTION! 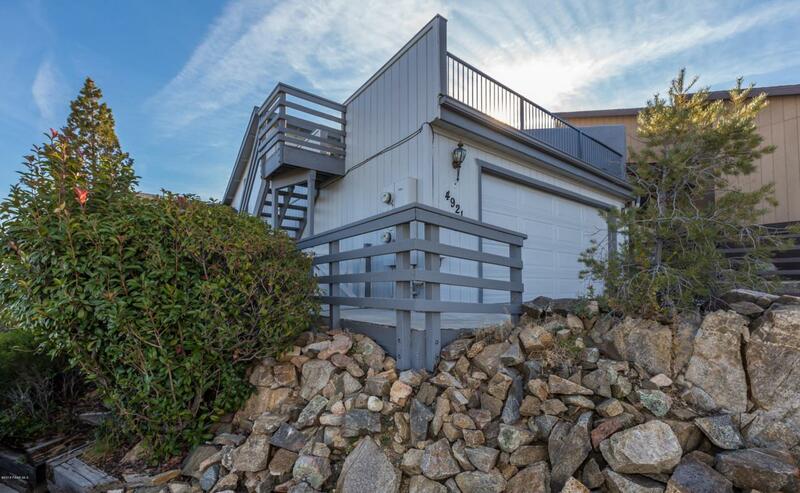 Amazing views of the SF Peaks and privacy with an end unit located in the Yavapai Hills community. This 2 bedroom/3 bath condo is very centrally located, near Costco, Trader Joes, and Prescott Town Mall. The main level has a wood burning fireplace for those cold winter nights, tons of natural light, beautiful kitchen with a new stove, range hood, washer, and dryer. The master bath has been completely remodeled. The second bedroom has a queen Murphy bed allowing for a little extra room to be used for an office/den. Bonus room can be used for yoga/weight lifting/cardio or a great play room for the kids. Unit comes with a central vacuum. The 2 car garage has room for storage and there is outside access to the deck above the garage for enjoying Prescott eveings. Listing provided courtesy of Christina Chintis of Better Homes And Gardens Real Estate Bloomtree Realty.